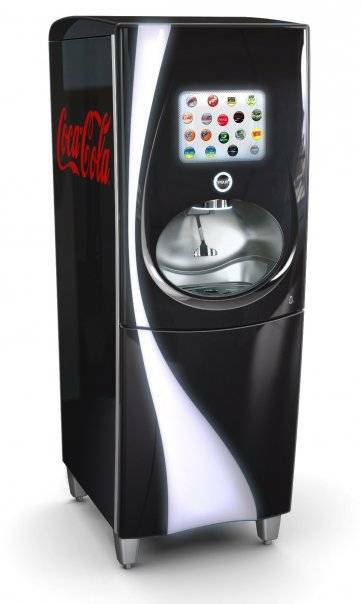 21st Century Soda Fountain Offers Innovative Choice – StratGo Marketing. Plug-in marketing department services. What’s a soda marketer to do these days? Sales have been declining, sugar- and calorie-laden drinks are in the public health bullseye, and new beverage choices seem to pop-up every day. Fountain drinks are an important component of the beverage industry as they provide brand volume and higher margins for on-premise operators. However, the recession has curtailed out-of-home dining, putting more pressure on this selling channel. Is technological innovation the answer to revive the fountain business? Last year, the Coca-Cola Company began testing the Coca-Cola Freestyle, a super-tech fountain that can dispense more than 100 beverages and/or beverage combinations from a single freestanding unit. Traditional dispensers have eight spigots for eight drink choices. According to a company statement, “the sleek new units being tested are touch screen operated, enabling consumers to select from more than 100 calorie and no-calorie brands – including varieties of waters, juices, teas and sparkling beverages that have never been sold in the United States.” What’s Coke’s objective? “It brings back the magic of the fountain of the past, re-imagines it for the future and then takes it a step farther by celebrating the idea that consumers can truly have their say at fountain — with choices tailored completely for them,” explained Chandra Stephens-Albright, Senior Director of Marketing and Business Development. Okay, this new dispenser should appeal to the video game/touch-phone crowd, but does Coke really believe that lack of choice is sinking the soda business? Nevertheless, give Coke credit for not giving up and for creating a technological marvel that has the potential to reinvigorate the on-premise soda experience. Of course, a few more 100% juice choices wouldn’t hurt either. A company fact sheet says that Freestyle “creates branded beverages by blending concentrated ingredients with water and sweetener at the point where the beverage is dispensed via proprietary PurePour Technology. It does not use syrup, but instead uses concentrated ingredients stored in cartridges in the dispenser cabinet.” Watch a video of the Freestyle in action. Another benefit is real-time reporting. 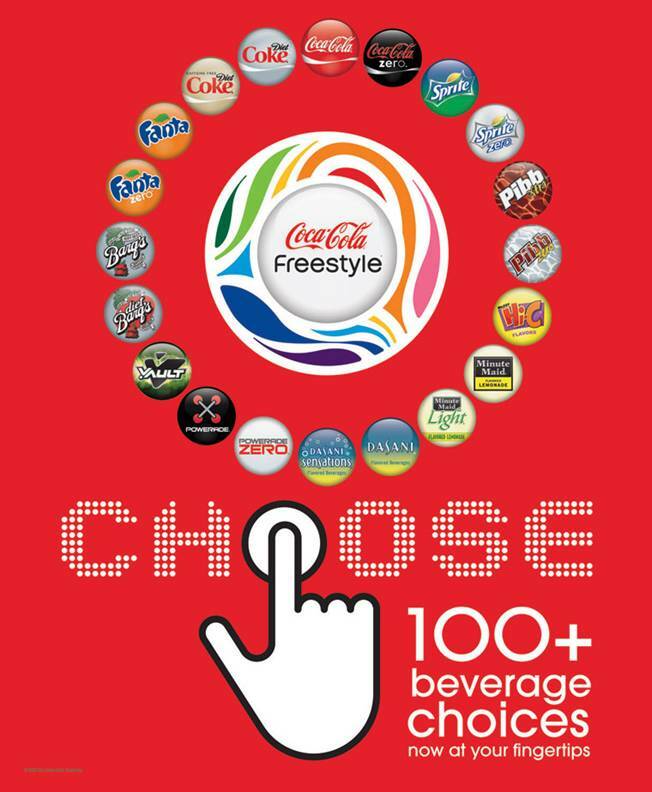 The Freestyle can transmit detailed consumption reports to Coke headquarters via the Internet. The machines are built by Plexus Corporation, who has recently been tapped to build a behind-the-counter crew-serve version of the device. That should make order-entry and drink-filling an adventure. Freestyle has had a slow rollout, in part due to its 30% cost upcharge. Testing began last year in two Atlanta restaurants and in 10 Jack in the Box restaurants in the San Diego area. According to the company’s Facebook page, testing is currently active at select restaurant locations in California (including El Pollo Loco, Jack in the Box, McDonald’s and Subway); and Georgia (including Burger King, Firehouse Subs, McDonald’s and Wendy’s). In the latest test, beverage sales rose 13% at Firehouse Subs in Atlanta (three outlets), and that chain plans to put the Freestyle dispenser in another 28 restaurants (The Wall Street Journal). The paper reports that Coke plans to expand the test rollout with another 500 dispensers in Southern California, Atlanta, Dallas and Salt Lake City. Highlighting the upgrade challenge is that soda fountains are ubiquitous. Coke has 525,000 in the USA. Headline For Marketers: Innovation can take many forms within the go-to-market strategy, and is not restricted to just new products. Technology can play a key role, whether for the product/service itself, or how it gets to and is used by the end-user. Make sure your company invests in some “imagineering” resources to protect existing businesses and/or to grow new ones.